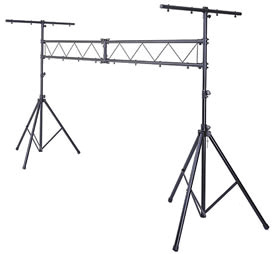 Odyssey LTMTS3 Lighting Stand DJParts - All Variety of Parts that DJ Needs. Mobile aluminum/steel constructed Trussing System - 9ft. tall x 10ft. wide with 2 T-bars.